At Timken Steel’s St. Clair plant’s 25th anniversary celebration in September, Jack Timken of the Foundation made the announcement of a $500,000 gift, the largest in the foundation’s history in Preble County. Mr. Timken praised the association for its work in the county and noted the importance of art in lives and community. EATON — The Preble County Art Association is gearing up to begin rehabilitation of the Stotler building at 205/207 E. Main St. in downtown Eaton. The property was purchased in 2017 with the intention of moving all operations of the association and Art Center to the location. The Art Association’s decision to make the move was brought on by the need for more space because of program growth and the desire to return the art center to downtown Eaton. The PCAA was formed in 1987 by Rosie McNees after her art studio in the St. Clair Building burned to the ground. Following the catastrophe, McNees and fellow artists were determined to see that art have a home in Preble County. The group, established the Preble County Art Association, a not for profit organization, and built a home for it on Hillcrest Drive. Since 1990, the Art Center has offered a space for exhibits and art classes and since 2013, after the hiring of the first Executive Director Vicky Fanberg, has grown programs and engagement exponentially, according to PCAA board members. Hamilton’s excitement is shared by the many supporters of this project including a $500,000 gift from The Timken Foundation of Canton. 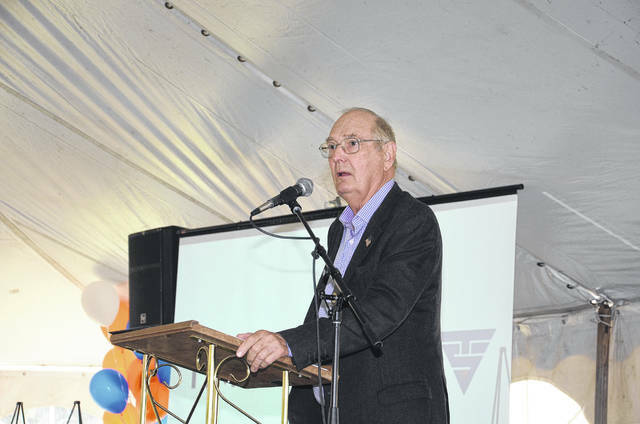 At Timken Steel’s St. Clair plant’s 25th anniversary celebration in September, Jack Timken of the Foundation made the announcement of the gift, the largest in foundation’s history in Preble County. 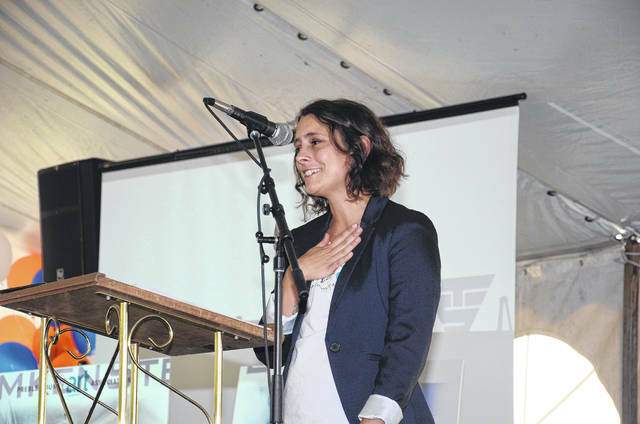 Timken praised the association for its work in the county and noted the importance of art in lives and community. The purchase of the building and support for the rehabilitation began with a gift from Mary Bullen and Polly Kronenberger. Support was furthered by the State of Ohio capital budget, Henny Penny, Brooke Gould Charitable Trust, Simon Insurance, Opti-Vise IT, Lowman’s Heating and Air, US Bank, Cargill Cares and other generous donors. 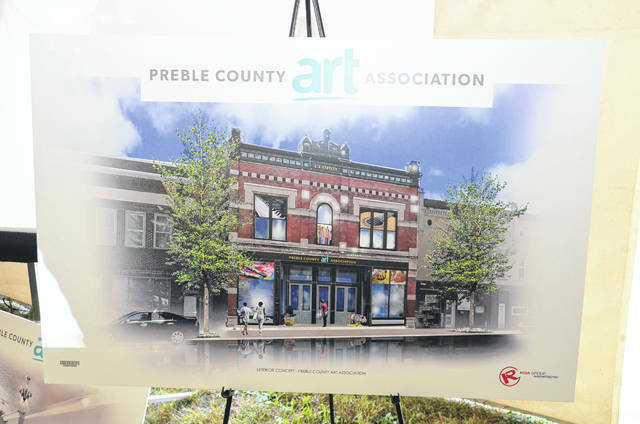 Currently, the Preble County Art Association is only $75,000 away from a 1.4-million-dollar goal. Donations can be made by contacting Vicky Fanberg at 937-456-3999. The Preble County Art Association expects to move downtown in the summer of 2019.
https://www.registerherald.com/wp-content/uploads/sites/41/2018/11/web1_pcaa3.jpgAt Timken Steel’s St. Clair plant’s 25th anniversary celebration in September, Jack Timken of the Foundation made the announcement of a $500,000 gift, the largest in the foundation’s history in Preble County. Mr. Timken praised the association for its work in the county and noted the importance of art in lives and community.